Translated from Italian, al dente means “to the tooth”. 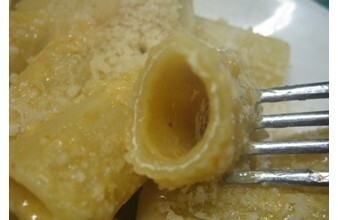 It is used to refer to pasta cooked so it is still "firm to bite" but not soft. 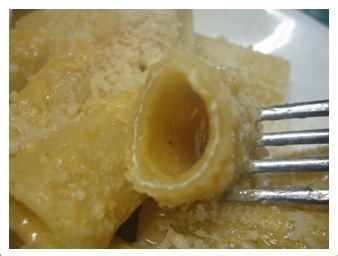 Pasta cooked al dente, have a slightly resistant bite, as compared to overcooked pasta which has no resistance at all. It is said in fact we use the expression al dente because if it is not fully cooked people without teeth can't eat it. 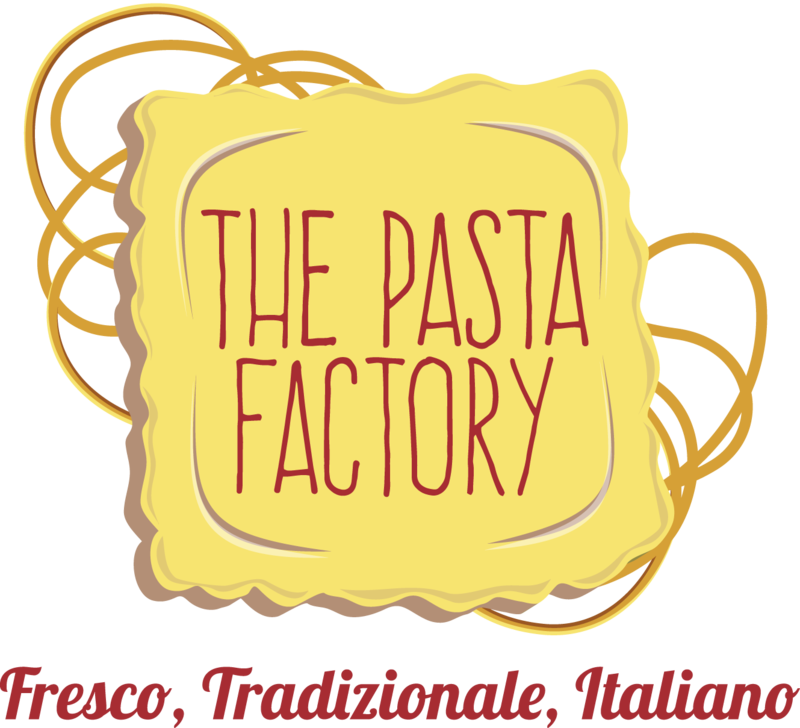 The best -and most effective- way to have a pasta perfectly cooked is not trust the label on the exact cooking time, but test pasta biting into a piece one minute or two before the package instructions indicate it should be done. If it’s properly al dente with some pasta shapes -like penne- you can sometimes actually see a hint of white in the middle. It’s important to remove pasta from the cooking liquid just before it has fully cooked through, as it will continue to cook. Especially if the pasta is going to be mixed into a hot liquid sauce before serving, take it out of the water at an even firmer point. 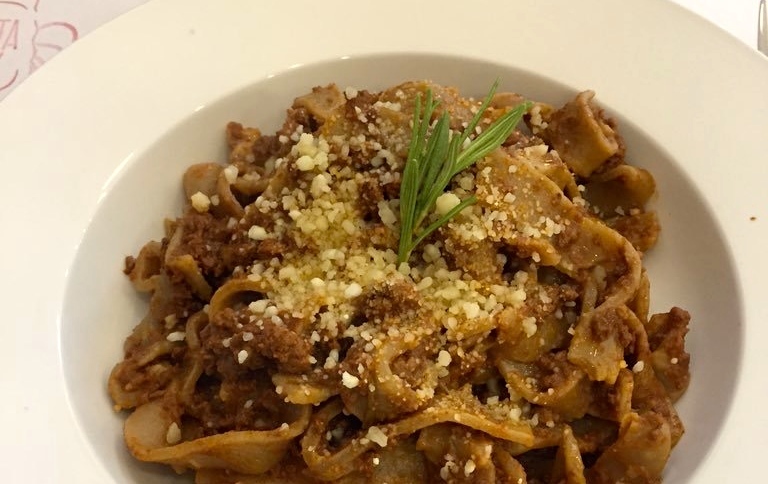 The most beloved Italian food has many advantages: it contains carbohydrates "good" and satiating power from above that, contrary to what was believed, make it even useful for weight control. Experts, however, have identified the golden rules for cooking pasta to conciliate palate and health. One of these is, in fact, cook pasta al dente. In this way it requires more chewing and therefore becomes more digestible. If properly cooked it will maintain its nutrient properties and it seems also that blood sugars will be released more slowly and longer, giving a more prolonged satiety. Pasta has a lot organoleptic qualities that is better never waste, so one more reason at restaurant as at home for prefer a pasta, of any size, always al dente.